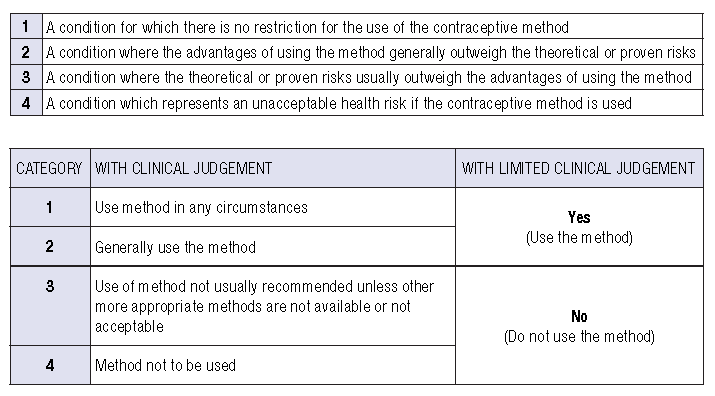 FOR SAFE AND EFFECTIVE USE OF CONTRACEPTIVE METHODS, The Latest WHO Medical Eligibility Criteria for Contraceptive Use Must referred as Closely as Possible. The more tests or examinations that is needed to be done prior to dispensing any methods of contraception will add on as barriers to women accessing contraceptives. The following are WHO guidellines to which tests are essential or mandatory.